Origami-A-Go-Go Party by Guests Lisa Howe and Alison Kenter. Lisa and Alison, the Origami-A-Go-Go Girls, specialise in teaching groups of girls how to make beautifully constructed origami paper delights. A fresh, new party idea for girls aged 6 and up. 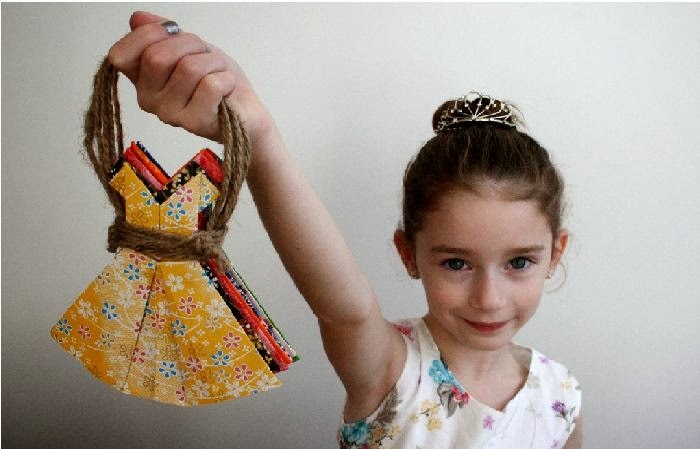 Origami was HUGE in the 70s and with everyone loving a bit of craft these days it’s making a big comeback in kindergartens, primary schools and now children’s parties. It’s good for the brain, the experts tell us. It’s great for hand/eye co-ordination and excellent at developing fine motor skills. It is also enormously satisfying – just ask anyone who’s mastered the classic crane! 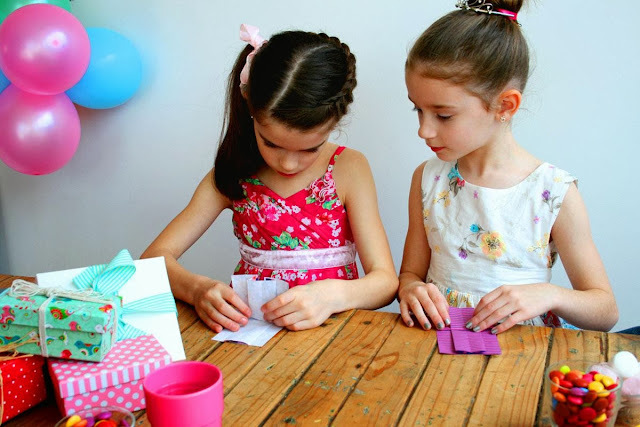 Lisa Howe and Alison Kenter launched their ‘Origami-A-Go-Go’ party concept earlier this year after finding it hard to manage the long hours of a TV career with caring for their growing families. The technical aspect of origami is often overlooked but the construction of a 3D masterpiece from a flat piece of paper is a marvel to behold. Origami-A-Go-Go encourages co-operation amongst the girls. Listening and concentrating is essential to success and despite the educational aspect it is great fun –and environmentally friendly! Book an Origami-A-Go-Go party and show your daughter that construction is a valuable, skill. It doesn't have to be all trigonometry and clipboards, your little engineer can be fabulous and graceful! Disclaimer: your daughter may also inadvertently learn a bit about geography, history and Japanese culture during one of these parties!